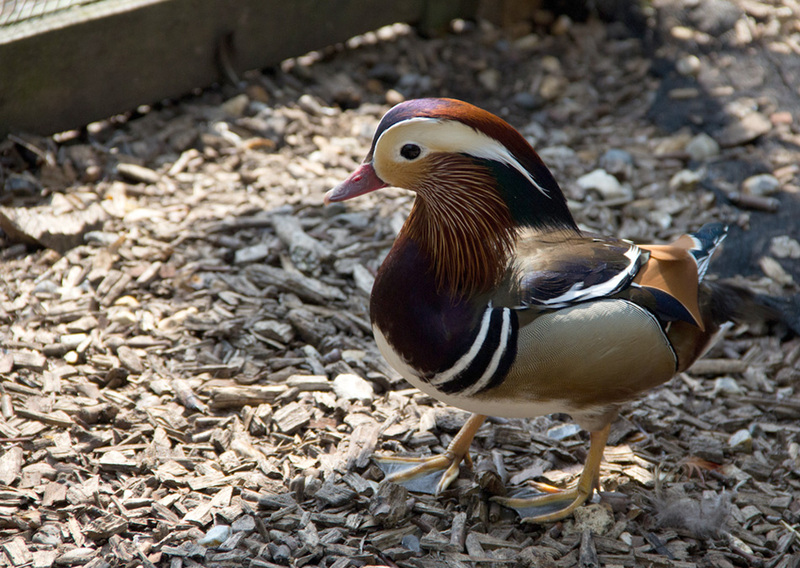 One special project we’ve taking on is to try to hatch out more beautiful Mandarin ducks (Aix galericulata). You may have seen our mandarin drake (shown below) at Pheasant Crescent in Pets Corner. See more photos and videos of the developing eggs on the next page! Our Mandarin drake at Pheasant Crescent. To hatch more mandarins, we’ve set a number of fertilized eggs in an incubator, where their normal development takes approximately 28 days (a week longer than chicken eggs!). 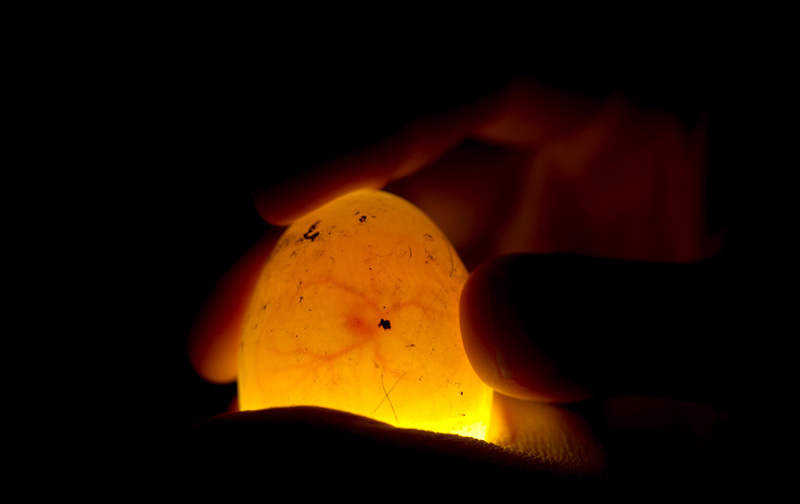 The eggs must be turned daily and kept at the appropriate temperature and humidity to develop properly, but we can check to see how they are doing by ‘candling’ them, that is, shining a bright light through the egg to observe the developing embryo. The little ducks grow incredibly quickly. Here you can see the ducks eggs at 4 days, you can see a tiny heart beating among a network of blood vessels and capillaries. 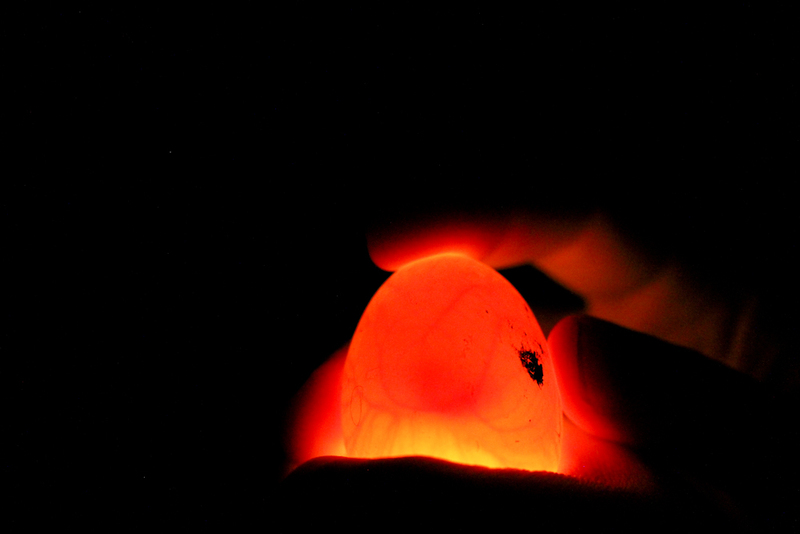 Madarin duck egg candled on the 4th day of incubation. By day 9, there has been considerable growth and we can see lot more movement from the embryo. We’ll keep posting updates as the ducklings develop and hopefully you’ll be able to see the little ones down in the farm some time next month. But like so many aspects of farm life, there are no guarantees!